Former San Francisco 49ers quarterback Colin Kaepernick, who kickstarted a protest movement against racial injustice in the US, is the face of a new Nike campaign to mark 30 years of the "Just Do It" slogan. Kaepernick was the first in a series of National Football League (NFL) stars to kneel during the US national anthem before matches. 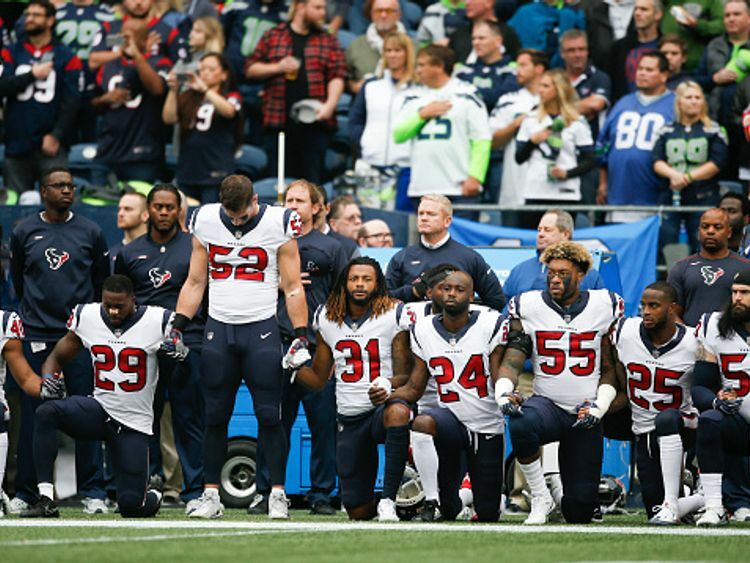 The move came during the 2016 NFL season and was designed to draw attention to racism and police brutality.The former American football star, who has not played in the NFL since early 2017, is suing the organisation - claiming that team owners have frozen him out to due to his activism.The new Nike adverts, unveiled just days before the start of the 2018 NFL season, show a portrait of Kaepernick with the slogan: "Believe in something. Even it means sacrificing everything." 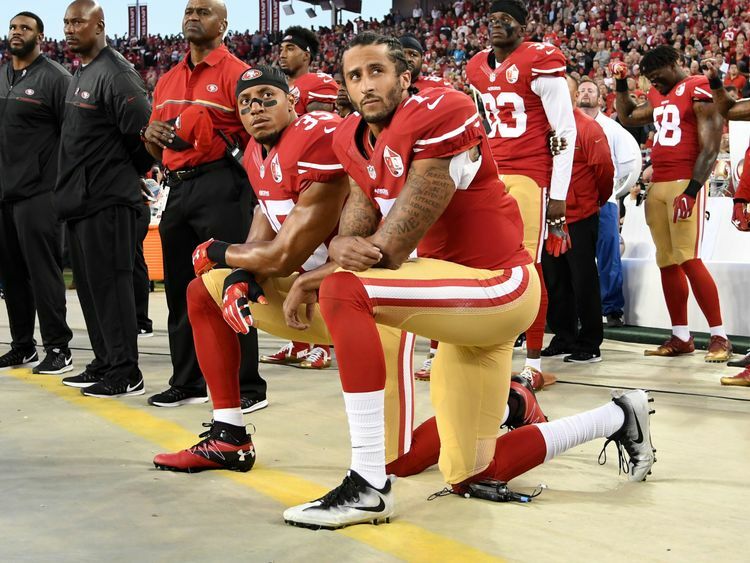 Kaepernick posted the advert from his Twitter account on Monday, along with the hashtag: "#JustDoIt".The protests have become a bitterly divisive issue among NFL fans after President Donald Trump waded into the controversy.Mr Trump described players like Kaepernick who knelt for the anthem as "sons of b******" who should be fired.The president has repeated those criticisms frequently over the past year, even suggesting at one stage that protesting players "shouldn't be in the country". Mr Trump cancelled a White House visit by the Philadelphia Eagles, this year's Super Bowl champions, after several players indicated they would not attend following his criticism. Following the controversy, franchise owners agreed a new policy that requires plays to stand for the national anthem if they are on the field.Several players have used creative methods to skirt the law, such as raising their fists or placing their arm on a teammate's shoulder.Nike had kept Kaepernick, who signed a sponsorship deal with the company in 2011, on its payroll throughout the controversy of recent years, ESPN reported.Gino Fisanotti, Nike's vice president of brand for North America, was quoted by ESPN as saying: "We believe Colin is one of the most inspirational athletes of this generation, who has leveraged the power of sport to help move the world forward." The advert comes just days after Kaepernick was cheered by spectators when he appeared alongside fellow player and activist Eric Reid at the US Open tennis tournament to watch Serena Williams on Friday.Nike's campaign also includes ads featuring Williams, NFL star Odell Beckham Jr and Seattle Seahawks rookie linebacker Shaquem Griffin.